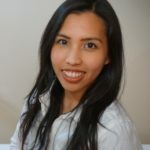 Karyll Magtibay is a Master of Public Health student at Simon Fraser University, currently working on her capstone on assessing partnerships and collaboration for chronic disease prevention. She is an active member of the community, firmly believing that improvement in health status can only be achieved through highly integrated and multi-sectoral efforts to address real-life issues of health equity and the social determinants of health. She is especially passionate in helping those who are not easily reached by programs or initiatives to become better connected to the health and human service organizations that are available to them. As part of the Master of Public Health program, she recently completed a practicum placement focused on developing the chronic disease prevention strategy at the Population and Public Health Unit at Fraser Health. In this role, she was able to contextualize population health and chronic disease prevention knowledge within community settings, specifically looking at the role of health promotion and prevention and health protection staff. She also engaged in discussion with population and public health staff in focus groups and interviews, prioritizing their input on the development of a chronic disease prevention knowledge translation tool. Prior to entering the Master of Public Health program, Karyll was employed as a Project Coordinator at the BC Lung Association where she coordinated health programs as well as planned for new health education initiatives. She collaborated with various stakeholders through this role and she further appreciated the importance and necessity of engaging and partnering with stakeholders, especially in the delivery of community-centred services. Karyll is also currently a Peer Health and Literacy Ambassador for United Way’s Avenues of Change. Her role as a volunteer is to reach out to families and discuss the importance of building healthy eating practices and early literacy activities. She enjoys outreach work and the opportunity to connect with underserved families and promote social connectedness, understanding its role in helping to reduce early childhood vulnerability.